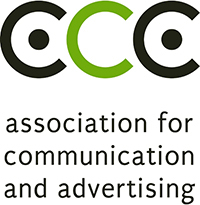 On the 10th June at a prestigious white tie gala event held at the Sandton Convention Centre, the Association for Communication and Advertising (ACA) hosted the 2014 APEX awards. And what an event it was! The 2014 APEX winners were announced – DDB South Africa and their client, First National Bank received top honours with a GRAND PRIX for their FNB Switch – beating the beep out of beep bank campaign. FoxP2 and their client Ster-Kinekor received were awarded a Gold APEX for their Great moments At Their Greatest campaign. Another Gold APEX was awarded to M&C Saatchi Abel and their client The Haven Night Shelter for their The Haven Street Store campaign. The teamwork and collaboration of advertising and communications agencies and their clients was demonstrated by the winning campaigns. The runners up were also applauded by the 450 captains of industry from the advertising and communications profession, leading advertisers, industry stakeholders from Government, members of the media and A-list celebrities who attended the gala event. Besides being an essential business tool that affixes value to agency credentials, marketing moguls and brand barons, an APEX award represents the definitive manifestation of creativity that generates business results. The APEX awards recognises talent – the heartbeat of the profession, the work of great talent – campaigns that demonstrated effectiveness in creativity that extends beyond pictures to creative intellect, strategy and media and the value and contribution of advertising and communications to business success. Winning an APEX is therefore the ultimate accolade and a testament to the importance of investing in advertising and communications when building a successful brand or business. At the gala event, Nkwenkwe Nkomo, Group Chairman of FCB South Africa, long-term Board member of the ACA, AAA School of Advertising, MAC Charter Council and Advertising Standards Authority Chairperson was presented with an APEX as a token of sincere gratitude and deep appreciation for his indomitable commitment to the South African advertising profession. Mr Nkomo has retired and will always be remembered as the profession’s ‘Champion of Change’ because he was instrumental in putting in place the Marketing, Advertising and Communications Sector Charter for Transformation – more commonly known as the MAC SA Charter, promulgated under section 12 in August 2008 and set to be promulgated under section 9 and written into law. The APEX awards has since 2010 acknowledged that the business of advertising – as broadly defined to incorporate traditional and new age media – deserves the same respect and admiration as other professions. Given that the mandate of the profession is to apply intellect to the difficult task of reaching out to millions of consumers with a compelling call to action and aside from the myriad marketing and communications functions, to be masters in the art and science of group and individual behaviour, the APEX awards launched a bursary program. The bursary program aims to contribute tangibly to the mandate of the profession by attracting the very best young talent, educating them and placing them in the working environment to gain the necessary experience under the guidance and mentorship of more experienced colleagues. The APEX bursary program affords deserving aspirant, talented students from the AAA School of Advertising – the industry’s official trade school and ‘birthplace of brilliant’- the opportunity to obtain a tertiary qualification as a springboard to their careers in the advertising profession. This year, no less than 17 bursaries were awarded at the gala event bringing to a total 43 APEX bursaries having been awarded since the launch of the program in 2010. “The APEX awards affirms the credibility and the value of creative work. It is a statement to our credence as a business sector as it affirms our credibility and affirms our contribution to industry. This affirmation ensures that our sector of communications and advertising is maintained, sustained and grown into the future,” says Odette van der Haar, ACA CEO. “We feel extremely privileged to applaud the finest creative minds in the business – an opportunity made possible as a result of the investment, generosity and support from APEX key partner SABC and sponsors Ads24, Anglo American, City Press, DStv Media Sales, Millward Brown, Rapport, The Media Shop and Sandton Convention Centre. With our partner, sponsors and contributors on APEX 2014, the ACA was once again been empowered to change the lives of deserving South African youths aspiring to enter the profession and bring credence to the business of advertising and communications,” concludes van der Haar.